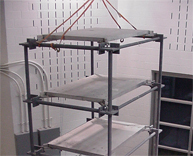 Researchers in the Earthquake Engineering and Structures Laboratory work to improve methods of determining infrastructure safety based on current knowledge and cutting-edge technologies. 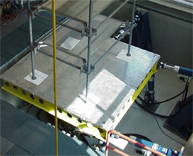 Researchers identify the parameters that govern the response of contemporary structural materials, studying these properties through experimental testing of structural components supplemented by numerical computer simulations. 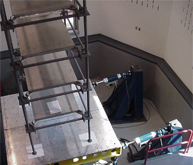 Because the accurate prediction of structural behavior requires that structural loadings be estimated, researchers also analyze a continually expanding database of earthquake, wave, wind, acoustic, and other loadings and create reliable mathematical models for these phenomena. 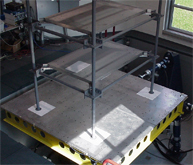 The results of this work are used to develop simplified design methodologies and guidelines for civil and mechanical engineers. 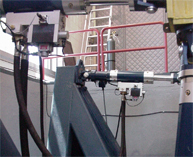 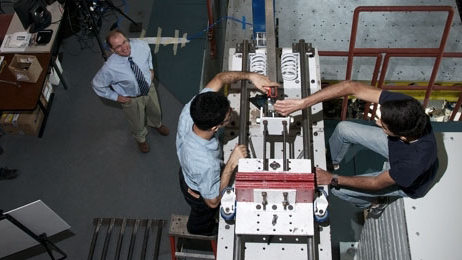 Research projects include the (1) investigation of soil-structure interaction under random excitation; (2) examination of ductile failure of structural components; (3) prediction of random vibratory loads on space-shuttle payloads; and (4) testing of high-strength steel-welded joints and structural composites under constant and variable amplitude loadings to evaluate damage accumulation.